The research groups lead by Mauro Gemmi and Gianpiero Garau at the Center for Nanotechnology Innovation of the Istituto Italiano di Tecnologia located in Pisa (Italy) inside NEST laboratory of Scuola Normale Superiore, determined for the first time the structure of a new polymorph of a protein by collecting 3D electron diffraction data from single nanocrystals. Obtaining crystals of sufficient size in the micrometer range for diffraction data collection is well known to be the major bottleneck of protein crystallography, the most powerful methodology to investigate at atomic level how proteins and other biostructures are made, function and interact in living organisms. 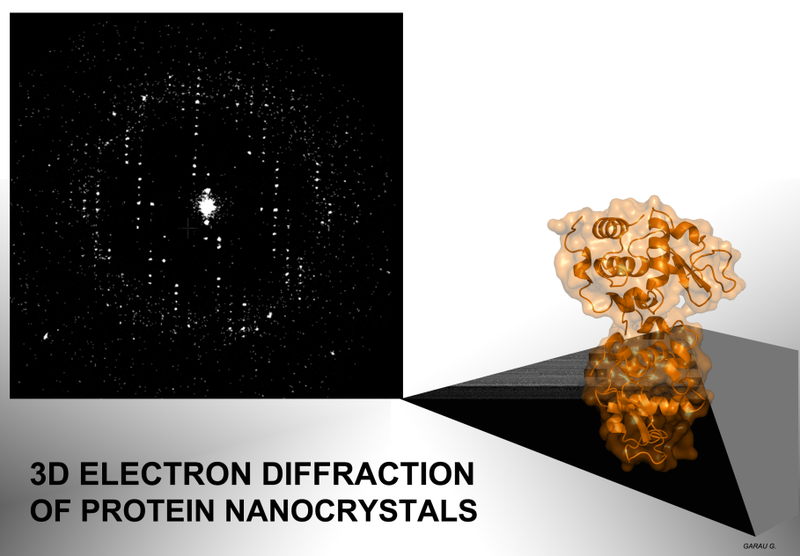 The IIT researchers demonstrated that also protein nanocrystals, obtained at the first stages of the crystallization process and invisible in optical microscopes, can be used for the characterization of protein architectures. This result opens innovative scenarios in the field of crystallography of biomaterials and discovery of novel drugs by structure-based design.